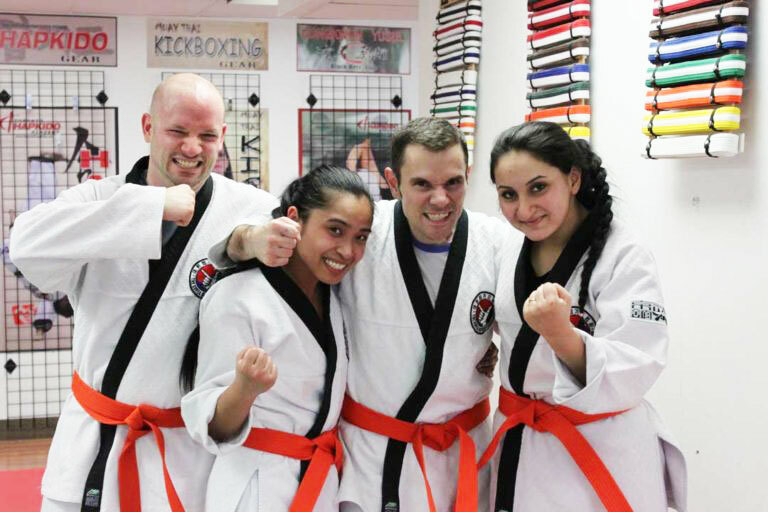 Beginner-friendly self defense North York Toronto classes at T.H.A Martial Arts & Kickboxing. for greater confidence, stress relief, and martial arts fitness. 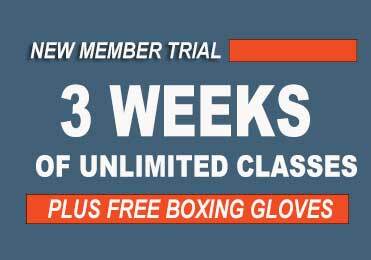 Sign up for our Self Defense webspecial for 3 weeks of unlimited classes or contact us to schedule a free trial class – (416)440-2828. Tap into your ultimate potential while enjoying something new! 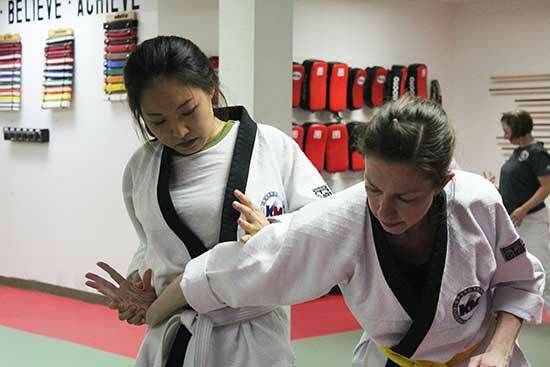 Discover Toronto North York self defense classes with adult-friendly martial arts lessons. T.H.A Martial Arts’ classes teach self defense skills to face opponents while standing, confined to close-quarters, or on the ground. The way martial arts is represented can sometimes be intimidating at first. That is why we made sure our training methods are functional, empowering, and most importantly accommodating to beginners. Fact: 50% of kids do some type of martial art in their lifetime. 95% of adults wish they had. Frequently Asked Questions About Classes At T.H.A Martial Arts & Kickboxing. Scroll down and click on the button to book a trial. Someone from our team will follow up to help schedule your trial. 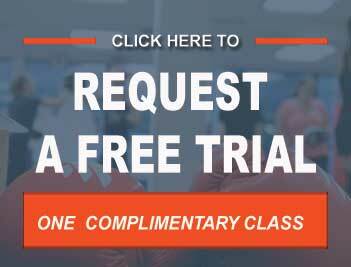 We also offer a no-obligation 3-week trial if you prefer a longer trial period. What days/times are the classes? * Please note that trial class visits are by appointment only. Hapkido is a Korean martial arts system that incorporates striking, kicking, throwing, joint locks, take-downs, chokes, and traditional weapons. It teaches a coheasive set of principles that explores the relationship of human physiology and self defense. At its core, the art embodies a holistic approach to mind-body fitness, personal growth, and self protection. Is this MMA or BJJ type training? 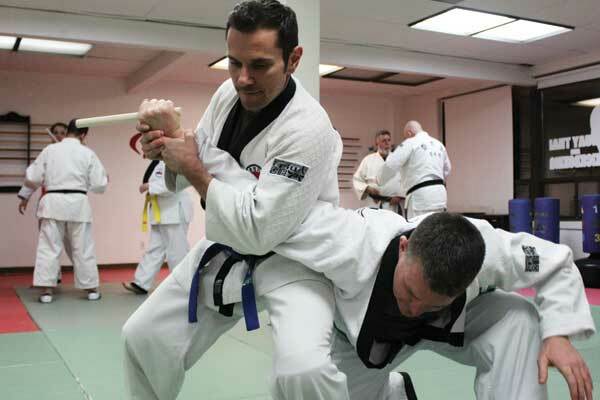 BJJ and MMA are common terms many think of when discribing Toronto self defense schools. Although Hapkido is a Jiu Jitsu type martial art that is Korean, the techniques differ in focus. It has its roots from Japan, and shares similar techniques to what is seen in today’s mixed martial arts training. Certainly. We would love to have you. However, in consideration of our members’ privacy, we’ve recently had to discourage people coming simply to “watch our classes”. None-the-less, we are happy to schedule a visit to check out the school or meet with a member of our staff. If you are perhaps simply curious about martial arts training, we have lots of class footage on our social media channels – @TorontoHapkido. Women make up a good size of membership also our instructor team. T.H.A Martial Arts is committed to offer a training environment that is family-like, inclusive, and gender neutral. Test-drive our self defense program… get to know us better. Self Defense Martial Arts training with a twist. We also recognize that most adults are simply not looking to becoming professional Fighters or Jiu-jitsu champions. They often want a rewarding, exciting experience that tests their physical and mental boundaries; while gaining self-defence skills, and enjoying an amazing workout. We offer classes that are cutting edge, reality-based, exciting, and well-organized. What makes T.H.A Martial Arts & Kickboxing different? Our community is one where everyone cares and looks out for one another. We teach Hapkido – a Korean form of Jiu-jitsu that incorporates effortless takedowns, joint lock submissions, with devastating strikes and kicks. It offers a cohesive system of practical self defense with a touch of tradition. It doesn’t matter if you’re new to martial arts, or have been out of it for a while and wanting to get back. The self defense techniques we teach are easily to learn, easy to apply, and highly effective. Flexible memberships and trial options. One size usually doesn’t fit all… and some Self Defense programs are downright unaffordable. 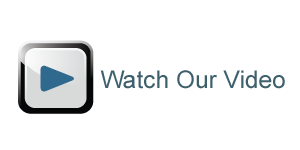 We do our best to offer a variety of membership types, and trial options to suit your needs. Our committment is to serve you, so we pride ourselves in being very transparent with our tuition fees and membership options. Convenient and well organized class times. Time is a common obstacle that keeps many from working out and getting in better shape. Practical self defense skills... with a touch of tradition. We teach progressive, street-smart self protection techniques responsibly and in a supportive mature environment. Humility, kindness, self-control, and respect; are a just a few of the traditional martial arts values at the core of our training. We are like a big martial arts family. Each class incorporates an engaging, safe, result-driven workout with the goal of helping you achieve a leaner, stronger, and more alive body. We designed our classes with you in mind, and have a caring team of instructors committed to helping you reach your training goals. You’ll love what we do!